I have been switching over all my make up and skincare to green, clean, organic, non-toxic items for the last several years. The cosmetics industry in the US pushes toxic products with questionable ingredients at girls and women every day. Once I started researching ingredients – mostly through these apps – I couldn’t bring myself to use “conventional” products anymore. Trying new green/non-toxic items contributed to my clutter a bit. In some ways, however, I am okay with this kind of trial. More on this in another post soon but my basic feeling is this: if it helps me make healthier choices, sometimes I need a little trial and error to find what works and what I’ll keep up with long term. What makes a cosmetic zero waste? There are some products that can be used as makeup that are able to be purchased loose/packageless/in bulk. Arrowroot powder and cacao powder come to mind. There are lots of great DIY recipes out there too – check out Gittemary’s videos for starters. When purchasing pre-made products, for me it’s all about the packaging materials AND what’s inside. Cardboard, biodegradable tubes and containers would be ideal. And there are some great products out there that I’m either currently testing (and will share opinions on soon!) or want to try in the future packaged this way. I primarily look for glass and metal packaging. I try to avoid plastic parts as much as possible because it breaks and is a hazard to the environment both in manufacturing and disposal. As for what’s inside, I look for ethically sourced, organic ingredients that are better for the earth. As you’ll see, I’m not exactly perfect on the zero waste packaging front, but I’m using up what I have because that’s cost and eco-friendly for me at the moment. I look forward to sharing all about the contents of my makeup bag again when things evolve. Here’s a look inside my streamlined makeup collection! My current foundation is Gressa Minimalist Skin Serum Foundation. I consider it skin care with pigment. It’s a beautiful, luxurious product and I highly recommend it. It comes in a glass bottle with a dropper top. Hey there! If you want to see all the makeup I recommend to anyone just getting into green beauty, check out this post. For concealer I have two RMS Beauty “Un” Cover Up* pots one in shade 00 and the other in shade 000. These are what are use most often on my skin day-to-day (along with a brow pencil.) These products are really beautiful on the skin, easy to use and made with truly all natural ingredients. A little goes a long way so the product lasts a long time in my experience. These are one of the only makeup products I re-purchase when I run out. That says something since I am the kind of person who likes to try new things. For blush I use Kajer Weis “Sun Touched” and RMS Beauty Lip2Cheek in “Modest” * Sun Touched is a little more neutral for everyday and Modest is bright but can blend out beautifully for a sheer hint of color. Modest can also be used on the lips but I find it ironically, given the name, to be a little too bright pink for my day-to-day. It’s great for special occasions like weddings though. Multi-use products are great for travel so this is typically what I bring with me on trips. I have two different mascaras in rotation at the moment, as you may know. The first is by Hynt Beauty * and it’s one of the best non-toxic mascaras I’ve tried. My other favorite is Pacifica Stellar Gaze* and might be more eco-friendly than Hynt because the metal tube is recyclable in some areas. Fun fact: I am obsessed with the brush on this so I use it for the next mascara. So! I’m also trying out a zero-waste packaged mascara by Clean Face Cosmetics on Etsy, I love that it can also be used as an eyeliner. psst…Do you want to see a more in-depth review of this product? Comment below and I’ll do it for ya. The only item missing from the photo is my one and only eyeshadow, Kajer Weis Earthy Calm. Other items that aren’t as non-toxic but I’m keeping around until they run out: eyebrow pencil, Josie Maran eyeliner and Josie Maran eyeshadow. A note on Kajer Weis products: They are beautifully made, are packaged impeccably in high quality refillable containers, and are amazing on the skin. And for that you pay a hefty price tag. It’s a personal choice and you definitely do not need these products in your life to look and feel beautiful, or to be eco-friendly. However, if you’re interested and want to cut down on cost a bit, grab the product refills only (available for everything KW makes from eyeshadows to foundations) and throw them into a “z palette ” which is basically an empty magnetic makeup palette that you can fill yourself. I also found this great shop on Etsy for magnetic makeup palettes* with cool patterns and – it appears – out of more eco-friendly materials. This will surprise no one who has followed me for a while: The most common lip product that I use is Kari Gran Lip Whip *. A little goes a long way and it magically fixes any dryness I have. The lid is heavy duty plastic (boo!) but the pot is glass. I reuse the pots for travel. You can see them in action at the bottom of this post. My two lipsticks are 1) Vapour Organic Beauty Siren Stick in color Incognito * and 2) Bite Beauty BB For Lips in color Suede. Some green beauty bloggers love Bite but others don’t recommend them because their ingredients aren’t perfectly clean across the board. I really love this particular product (BB For Lips) and color so I’m keeping it around until I use it up. Whether or not I’ll repurchase is another story. I also have a Pacifica Solid Perfume in Tuscan Blood Orange in the bag that I use while I’m doing my makeup, which is why it’s in there. I rub lightly on my wrists, neck and temples to lift my mood. Most of Pacifica’s solid fragrances are really clean and non-toxic, and I love that they come in a metal tin that can be recycled or repurposed. I’m not sure if I repurchased since I’m going to explore making my own with essential oils. But these are a great non-DIY option for sure. For powder I use an old Alima Pure container but inside is just Arrowroot Flour. Thanks to plastic-free guru Beth Terry for this tip. Just a tiny bit goes a long way. I don’t use it very often and I don’t use very much of it but when I need to set my eyelids or my under eye this does the job really well. For best results, use a light hand and a fluffy brush. Among the other tools I have in my bag like a pencil sharpener and a small mirror is the Bobbi Brown “Gentle Curl” Eyelash Curler. Even though I rely on an eyelash curler daily, I thought it was silly to spend more than seven dollars on one. Since exploring my waste and use of materials more closely, I realized that my past cheap-o purchases tended to break pretty quickly. I did some research and purchased this Bobbi Brown model at a local store. It has served me really well so far. I’m not sure it will last a lifetime, but will certainly last longer than the cheap ones I used to get from the drugstore. *This post contains affiliate links, indicated with an asterisk. If you like my posts and recommendations, I appreciate you shopping through my links. Your experience on the site doesn’t change, nor do I receive any information about your visit. However, if you choose to purchase something I recommend, I may get a small commission. 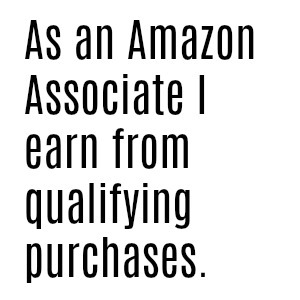 Please let me know if you ever have any questions about why I use affiliate links! More information can also be found on my Where to Shop page. Next Next post: Burlington, VT Zero Waste Meetup!